SAP SE has announced that SAP Labs India has ranked #1 in ‘India’s Best Companies to Work For – 2018’ survey carried out by the Great Place to Work® Institute. SAP Labs India has also been recognized in the list of the Best Workplaces – Culture of Innovation 2018. Great Place to Work® Institute’s annual list is one of the largest and most esteemed study of workplace excellence and people management practices globally. SAP Labs India is the second largest R&D center in SAP’s global network of 20 labs in 17 countries and is celebrating its 20th anniversary this year. Employees of SAP Labs India work in an environment where people are the focus across all functions and the workplace is non-hierarchical, fluid and flexible. SAP Labs has always been employer of choice because of its various people-focused initiatives like – ‘Back-to-Work; Autism at Work; Entrepreneurship Sabbatical, Care for Life Fund, SAP Startup Studio among several others. 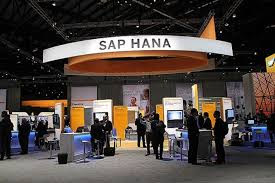 SAP Labs India contributes to a wide range of SAP products and platforms including SAP S/4 HANA, the next generation business suite, SAP SuccessFactors, the complete HR system on the cloud,SAP Cloud Platform, the open enterprise PaaS offering, SAP HANA Enterprise Cloud, providing cloud infrastructure and managed services for in-memory applications, database, and platform among many others.